Katerina Novikova, dance teacher at The Bolshoi Ballet in Moscow (Katya) and I were discussing Leo Tolstoy again. I told Katya about Bee Gilbert’s humanitarian work with Anno’ Africa in the Mathare slums in Kenya (I was born in Kenya and attended school there). 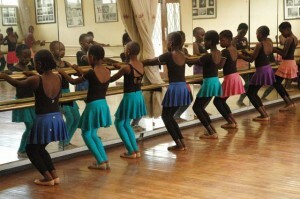 Bee and her team are bringing creative expression through art forms such as ballet. Of course – that is a positive thing to do for the children in the African slums. I understand. 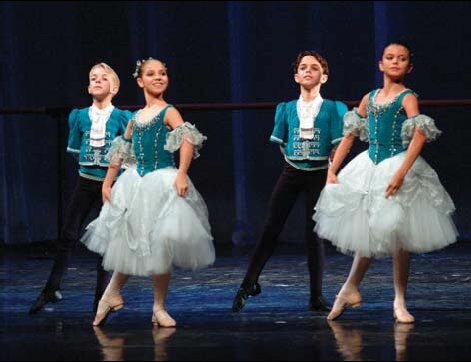 That is why we have the Bolshoi Ballet school in Brazil for free for talented kids from poor families and I know how it works on them is a miracle! 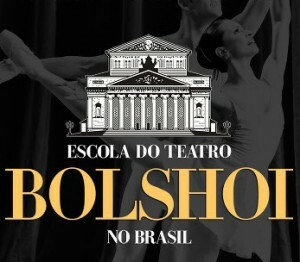 The Project of the Bolshoi Theater School in Brazil is not just opening the doors to the world of art through the professional formation of ballet artists, it goes beyond, and reaches those who never dreamt of having the chance of being part of the art world and to develop, through them, citizens who have a comprehensive education but are also more aware of what is around them. 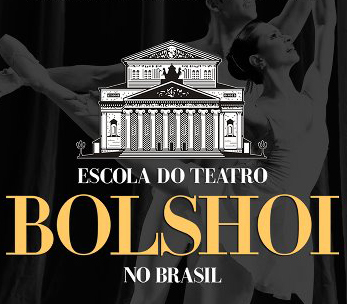 Following the same socially orientated philosophy of the Moscow School – whose first young students were orphans – the Brazilian School is repeating the experience of the Russian one two centuries later. 92% of the 220 students who receive free studies, food, uniform, transport, emergency medical aid and physiotherapy are scholarship holders from low income families and from the municipal schools in Joinville. I read Wangari Mathaai’s autobiography and am very moved by the tree planting programme and the sustainability it provides. This year we had 90 children participating in the ballet from the two slum schools and… it was the third year in Mathare for the kids (including 8 boys). In 1987, I was teaching high school in Harlem. For one weeknight per week I bantered at Cicero’s Corner. For two other weekday evenings and every Saturday I was a dance student at Martha Graham Dance Studio in New York City. Terese Capucilli was a Principal Dancer with the Martha Graham Dance Company at that time – a position she held for 26 years. The noteworthy moment I recently reminisced with Terese about was in that year of 1987 when Martha Graham got tickets for all us students to see her production of Appalachian Spring. In that historic, unforgettable performance Terese Capucilli danced the role of The Bride to Mikhail Baryshnikov’s Husbandman and Rudolf Nureyev’s Preacher. Subsequent to this performance which I was privileged to see Terese in – in 1987 – Terese was partnered again by Baryshnikov in Martha Graham’s Night Journey (at the 1989 ABT/Graham Gala at the MET) and in 1991, El Penitente at City Center, subsequently touring the work with Baryshnikov’s White Oak Dance Project both in Paris and in London. Terese Capucilli, acclaimed interpreter of the roles originally performed by Martha Graham, is one of the last generation of dancers to be coached and directed by Graham herself. 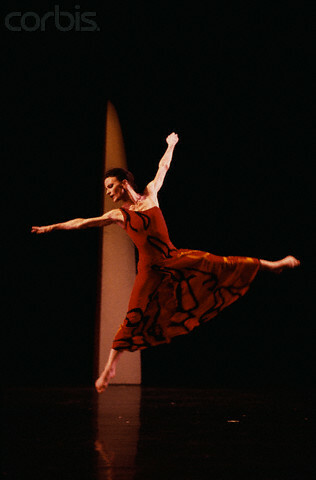 A Principal Dancer with the Martha Graham Dance Company for twenty-six years, she became Associate Artistic Director in 1997 and from 2002 to 2005 served as Artistic Director, with Christine Dakin, seeing the organization and its dancers through the rebirth of the Company. A torchbearer and driving force of Graham’s work for nearly three decades, she is now Artistic Director Laureate. Terese Capucilli came into her own as the most powerful dramatic dancer of the decade. Terese became a prominent figure on the Graham stage, touring the world and performing in all of Graham’s major work. Roles created for Ms. Capucilli include ‘The Chosen One’ in The Rite of Spring, ‘Crescent Moon’ in Temptations of the Moon and lead role in Ms. Graham’s final ballet Maple Leaf Rag. In 1999 she was invited by Susan Sontag and Annie Leibovitz to be photographed for the book Women for a Pirelli Calendar series. Terese is a recipient of a 1985-86 Dance Fellowship from the Princess Grace Foundation-USA and was subsequently awarded the Princess Grace Statuette. Terese, you are one of the last dancers taught by Martha Graham – what has that meant to you in your career as a dancer and dance teacher who carries the legacy? What Terese has is very rare and very wonderful. It’s a matter of her musical timing. As a dancer, you must not follow the music, you are the music. It’s an emanation of your body. It is common knowledge that Martha Graham saw herself as a dancer first. She wished first and foremost to be remembered as such, but her power today extends far beyond that, as one of the greatest American choreographers and revolutionary innovators of the 20th century. She left a legacy of dances, an enduring technical language, as well as a philosophy by which to live and work. Of vital importance to all of this, is that this legacy and all it encompasses, the dances, the technique and the philosophical approach to working, all live within the dancer’s body; the many generations of dancers who have nested, struggled and lived inside Martha’s work. Without the dancer as interpretive artist, the work cannot live. Without dancers of courage who are able to expose all the sensitivities, the strengths, the vulnerabilities, the wretchedness and the joys that make humanity the ever-enduring wonder it is, the work does not live truthfully. I spent half of my life living within Martha’s theater – inside her most vital masterpieces inhabiting some terribly wonderful, vibrant characters. It is a journey that few have the opportunity to experience with such depth. Practice means to perform, over and over again in the face of all obstacles, some act of vision, of faith, of desire, practice is a means of inviting the perfection desired. Like the richness of the Shakespearean theater, I found myself dancing Martha’s vast array of archetypal characters and finding myself as an artist within, discovering how Martha’s theater appeals so enormously to audiences’ emotions because of the gloriously huge figures, the myths, the legends, the types of poetic and heroic themes she dealt with. There is always something to grasp onto that has a strong validity and vitality to it. Working with these characters of grand stature — the men and women of Martha’s work, like Jocasta, Oedipus or Medea and Jason, Clytemnestra as well as Emily Dickenson, the Bronte sisters, Joan of Arc, Mary Queen of Scots — you discover that they are really so tangible. They speak about gut-level truths about human beings. At the basis of it all, is the instinctual knowledge that the life I have lead as a professional dance artist is inseparable from the life I lead as a child, a daughter, a sister, a friend or my life as a wife, a mother, a teacher. Martha always spoke of dancers as ‘ the Chosen Ones’, and as primitively rooted as dance is to our world, there are so many that will never truly understand the absolute necessity to embrace this piece of humanity that lies so deeply within our bodies, their bodies, within our culture, within the universally expressive needs of human beings. I am a dancer… I believe that we learn by practice. Whether it means to learn to dance by practicing dancing or to learn to live by practicing living, the principles are the same. In each it is the performance of a dedicated precise set of acts, physical or intellectual, from which comes shape of achievement, sense of one’s being, satisfaction of spirit. One becomes in some area an athlete of God. It takes ten years to make a mature dancer. The training is two-fold. There is the study and practice of the craft in order to strengthen the muscular structure of the body. The body is shaped, disciplined, honored and, in time, trusted. Movement never lies. It is the barometer telling the state of the soul’s weather to all who read it. This might be called the law of the dancer’s life…the law which governs its outer aspects. Then there is the cultivation of the being. It is through this and the legends of the soul’s journey are re-told, with all their gaiety and all their tragedy, the bitterness and sweetness of living. It is at this point that the sweep of life catches up the mere personality of the performer and while the individual (the undivided one) becomes greater, the personal becomes less personal. And there is grace. I mean the grace resulting from faith…faith in life, in love, in people, in the act of dancing. All this is necessary to any performance in life which is magnetic, powerful, rich in meaning. In a dancer there is a reverence for such forgotten things as the miracle of the small beautiful bones and their delicate strength. In a thinker there is a reverence for the beauty of the alert and directed and lucid mind. In all of us who perform there is an awareness of the smile which is part of the equipment or gift of the acrobat. We have all walked the high wire of circumstance at times. We recognize the gravity pull of the earth as he does. The smile is there because he is practicing living at the instant of danger. He does not choose to fall. It begins in the heart – a passionate quest in search of expression — It is simply a love for the raw beauty of that very vulnerable place of learning and discovery, the studio. The place where the dancer trains day after day, year after year…first absorbing the technique into the body, continually fine tuning it so that it becomes second nature, that the very core of one’s being can speak freely through it. One hopes that movement is absorbed, into every fiber, every sinew of the muscle, finding the depth of physicality, and upon repetition, repetition, repetition…a certain inevitable truth begins to reveal itself. This can only happen if the artist is courageous enough to delve physically and emotionally to the breathtaking, yet frightful point where teetering on the edge of a cliff brings a keener awareness, sensitivity, tremendous texture and richness of expression. This language has become the language and philosophy I move through life with, whether in the studio rehearsing, with my students teaching, or at home reading with my son. Here these experiences become intertwined with life as it is lived. I have always likened the accumulation of this kind of physical and emotional knowledge to the building of a beautifully terraced garden. She is a performer of prodigious physical prowess, generous personality, burning passion, with impact of an unsheathed weapon. You are given the chance to construct it as imaginatively as a child may build a castle. It is life-long. Here you will place all the knowledge and experiences that you are fortunate to acquire and from the layers of that garden you will, moment after moment, year after year, draw from it. Those physical and expressive memories that have been planted for some time will have such deep roots that they will have absorbed themselves as deeply into your being and can be delivered through a character as subconsciously as a breath. I attempt to feed my students with the desire to question, observe, sensitize themselves to the many layers that make us humans, human. In this way they ask their own questions and in time, if they persevere, arrive at their own answers. Martha was driven by the necessity to get down to the essentials of expression and that carried her far to search for movement that penetrated the depth of human emotion. Dance as entertainment or dance as an escape from life did not interest her. She saw it as a means of inner regeneration, an attempt to bring one closer to life and our own realities. “I did not want to be a tree, a flower or a wave. In a dancer’s body, we as audience must see ourselves, not the imitated behavior of every day actions, not the phenomena of nature, not exotic creatures from another planet, but something of the miracle that is a human being, motivated, disciplined, concentrated…My necessity is to attempt to reveal the inner landscape, which is the soul of man….I have never been able to divorce the dancing from life”. The elemental forces in Martha’s theater are her characters. They are not types, but archetypes. They are every man and every woman and should we be open to accepting it, (or admitting it) we probably know every aspect of them as well as we know ourselves. Very often audiences are not willing or emotionally able to allow themselves to look that deeply within and therefore lose out on an opportunity to truly experience the work… or themselves fully. Does dance live in the deep recesses of the heart of the performer or does it live in the hearts and minds of those watching, the spectator?